Either way, the gender gap in financing is bad news, particularly as women emerge as a force for markets, innovation, and jobs around the world. In Africa, for example,study after study shows women have the capacity, confidence, and follow through to start and grow a business, to the point where women entrepreneurs actually outpace men in countries like Zambia and Nigeria. Yet these businesses may already be limited for the simple reason that they aren’t owned by men. This has important implications for the broader policy, development, and business worlds. After all, women develop new innovations for currently untapped markets, they often hire other women, and they tend to invest in their communities and families more than men. That means women entrepreneurs — and the women they hire — spend money on things like their children’s health care and education, sending it back into the local economy. In other words, investing in woman entrepreneurs is generally good for everyone. It’s an opportunity we can’t afford to miss. 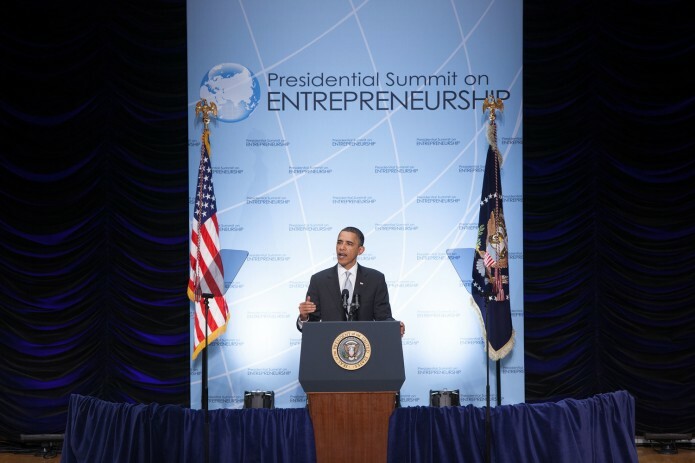 This is the message I’ll bring to the 2015 Global Entrepreneurship Summit (GES) in Kenya. On July 24 we’ll convene 150 entrepreneurs from around the world to meet investors, policy makers, and industry experts for the GES Youth and Women’s Day. These entrepreneurs will learn new skills and get business advice from the experts before joining around 1,000 participants for the remainder of the summit on July 25 and 26. This event isn’t just about training and inspiring entrepreneurs, although it will certainly do that. It’s also about showcasing the potential their businesses have for growth. It’s about highlighting these women as innovators who see a need and fill it and as entrepreneurs who are more than capable of building profitable businesses, supporting their families, and creating new opportunities. Ultimately, it’s about recognizing the opportunity we have for progress and taking action so that gender bias no longer stands in the way. It’s time for investors to pay attention to these emerging entrepreneurs — and for governments to do all we can to empower these women. About the Author: Catherine Russell serves as Ambassador-at-Large for Global Women’s Issues. Follow Ambassador Russell @AmbCathyRussell on Twitter.